The UCSF Library is happy to announce that we have set up a short-term trial to VisualDx from now through January 15, 2018. Best known for its extensive image library, VisualDx combines a diagnostic framework with visualization of disease. 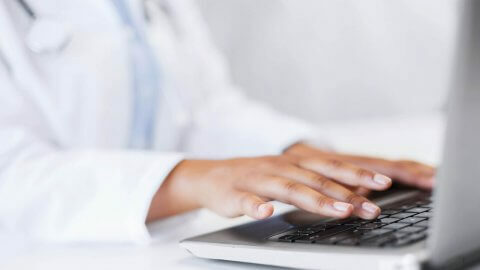 This resource was developed to assist medical practitioners in clinical decision-making by providing peer-reviewed, evidence-based information at the point of care. This tool aims to enhance diagnostic accuracy, aid therapeutic decisions, and improve patient safety by allowing users to search by diagnosis, build a patient-specific differential, and review travel or medication-related events. VisualDx can be utilized across many specialties, including emergency medicine, primary care, hospital medicine, dentistry, and dermatology. Our trial includes access to VisualDx’s mobile app, as well as integration with the Medical Center’s subscription to UptoDate. We look forward to your feedback on this resource. Please fill out our survey to let us know how useful you have found VisualDx.